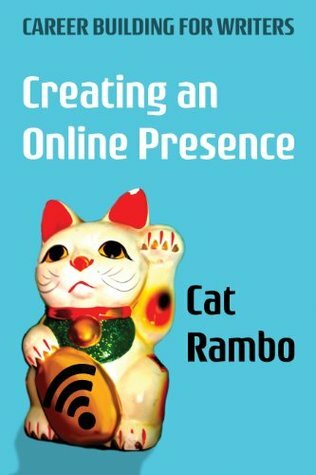 From Goodreads ~ Covers the basics of creating and maintaining an online presence for writers. What you need on a website, how to effectively use social media, how to find readers via social media, what free resources are available to writers, whether it's worth it to pay for online advertising, and, most importantly, how to promote yourself online without using all your valuable writing time. This is a good book for authors who are just getting started and want to promote themselves and create an online presence cost-efficiently and using their time wisely. The book was originally written in 2013 and some of it has been updated to 2016, while some of it hasn't. There are tons of links to the different products and services she recommends. I read this book on my ipad and it was easy to click on the link, check it out and then come back to the book. The author is a professional writer so I was surprised at the number of typos in this book, especially since she advises that you to reread your book and look for typos, etc. Some of the chapters started off as notes for classes she teaches and she acknowledges that.